This listing is for one 30 oz. SIC brand tumbler. 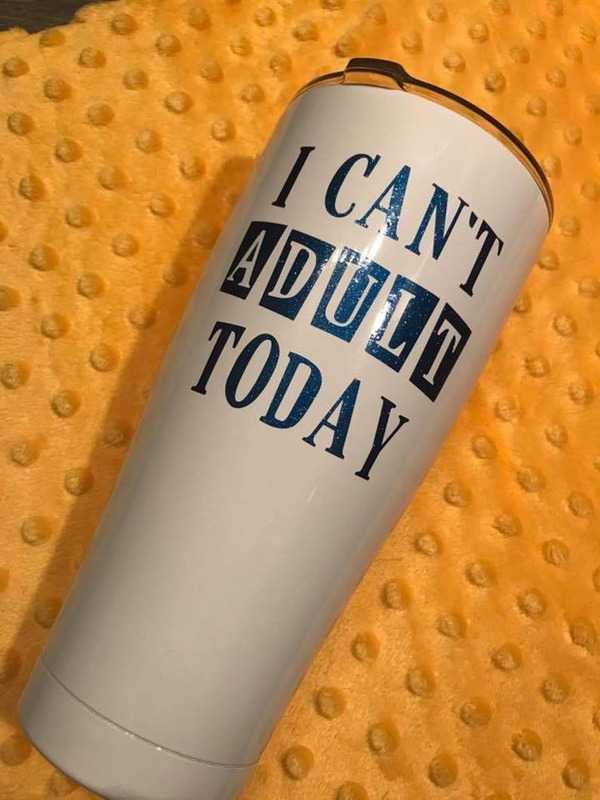 Keeps your large beverages ice cold for 24 hours or piping hot for 8. 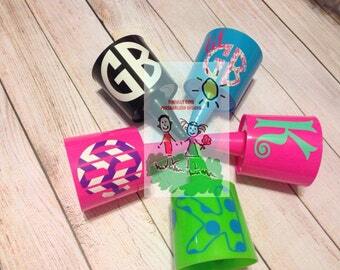 Designed to fit perfectly in your hand or cup holder. Splash Proof Lid reduces spill and maximizes heat retention. 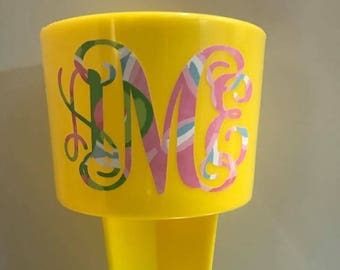 Price includes name or monogram, one of the sayings shown, your own favorite saying, or the commemoration of a special event such as Bachelorette Party, Honeymoon, Girls Trip, etc. These make great gifts! 5) Custom saying, verse, or commemorative event. We use high quality commercial grade, outdoor permanent vinyl, which will last for years when cared for properly. Care Instructions: Hand wash only. Do not place in dishwasher and do not soak in water. Personalized and custom made items are non-returnable unless there is a mistake or error on my part, so please double check the accuracy of names and/or dates prior to placing your order. This is a custom made item. Please allow one to two weeks for it to be made and shipped. You will receive email notification and tracking number once the shipping label is generated. Please convo me with any questions prior to placing order. Please visit and like us on Facebook at Cinfully Cute Designs / Cinfully Cute Baby. All items are custom made by me in my smoke-free studio.